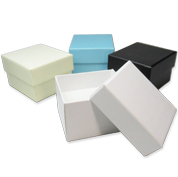 Shop our Premium Paper Gift Boxes line and discover affordable, yet durable pieces for your collections! These articles contain flocked foam inserts and are great for packaging rings, pendants, earrings or even necklaces. Get the best wholesale deals thanks to our special discounts!